This is an incredible preamp! Without throwing too much character into your recordings (some valve flavor, but not overwhelming), it is detailed and creamy - whilst still retaining a fair amount of bite and good transient response. While they are not know for having much headroom, I'd say that for dynamic and condenser microphones (along with many newer ribbons), they offer more than enough gain - along with value and tone. It's a classic UA piece; and it's easy to add some extra harmonic content to your sound, although they are quite hard to fully drive. They keep their clarity and detail even in higher gain settings, and you never feel like you're losing control of the sound. Ever. I found them to be so good.... I bought two. Try putting a Neumann U67 or a Brauner Phantera through them, you'll know what I'm talking about. Now, a bit of constructive criticism: metering could be better; the one and only light that gives you an indication of gain is unusable, in any situation. The case, although very sturdy and thought-out, is bulky and somewhat unattractive. And a few more dB's of gain would make me feel more at ease overall. But if you're like me, and only really care about the sound, then I can't fault them in any way. Sur les voix, basses, incroyablement simple et efficace, transparent et un peu plus coloré selon les besoins. Recordings are so much better now! Even though I’m completely mixing ITB, the sound still retains the analogue warmth of the tube! Amazing sound in everything you plug in! Thanks Universal Audio for create this marvelous hardware! This item will do your studio well! It gives your vocal and acoustic recordings. I haven't used it on electric guitar or bass, will soon. Honestly, Universal Audio is the name you can trust in audio. Get it, use it you will not turn back. Thanks UA! This piece of gear pushed my recordings from the "okay" sound to the "yes" sound. I have two, and I use them as DIs for my synthesizers and drum machine. If you want to record line in, you need a DI to boost the signal and clean it up. Go for one of these tube DIs, you will not regret it. It's a little expensive, but it's a beautiful, handmade piece of art that may last you for many many years. tubey dooby i love this pre. everything sounds so nice and thick and real. Awesome unit! If it were a chick... I'd marry it! i like it very much, giving me the warm sound for my anlogue maschines i need. Just the sound I was missing! Tried a few other mic preamps but none gave me the warmth and character that I get from my UA 610 solo! Hands down the best in its class!!! 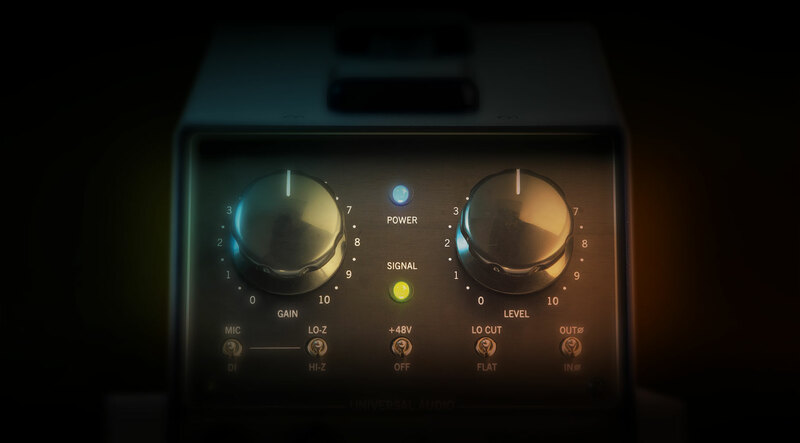 The Solo 610 is an awesome preamp/DI, which warms up your tracks. I've been using it intensively for 6 years now and can't praise it more.. It also saturates pleasantly when needed. One of the best sounding DI boxes out there. LOVE it especially on bass and mic'ing harsh sounding brass instruments.